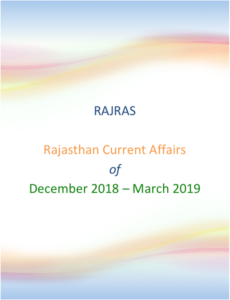 This is the Second Part of RAS mains PDF and consists of important current affairs from December 2016 – March 2017. 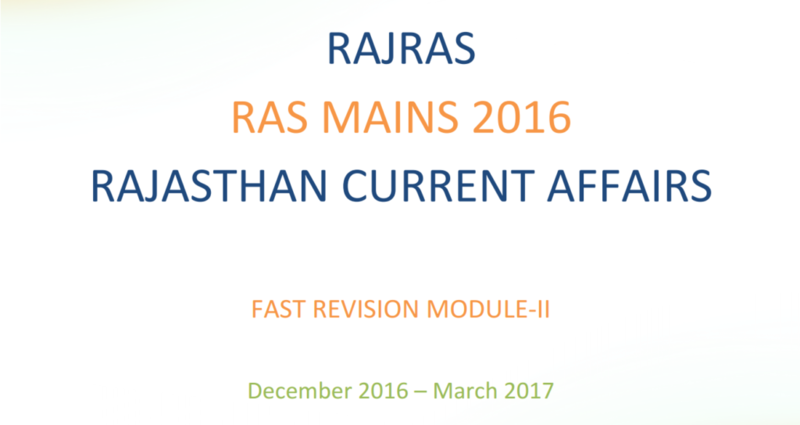 This has been made keeping in mind RAS Mains 2016 – and so prelims related current affairs like person in news etc have not been included. 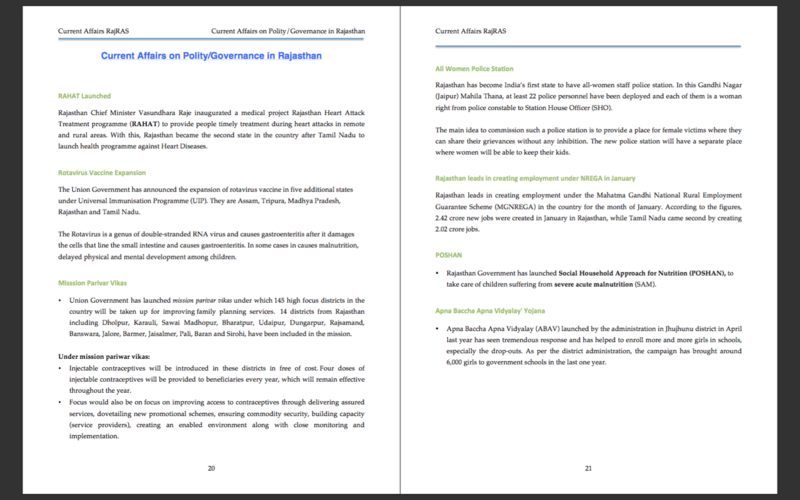 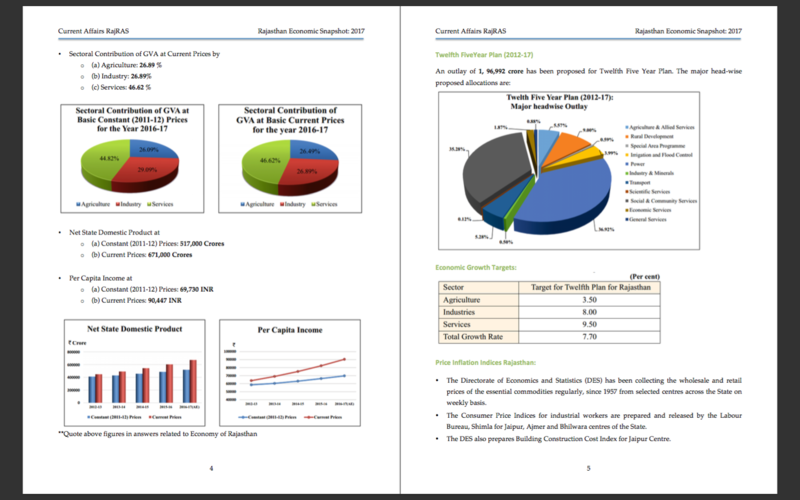 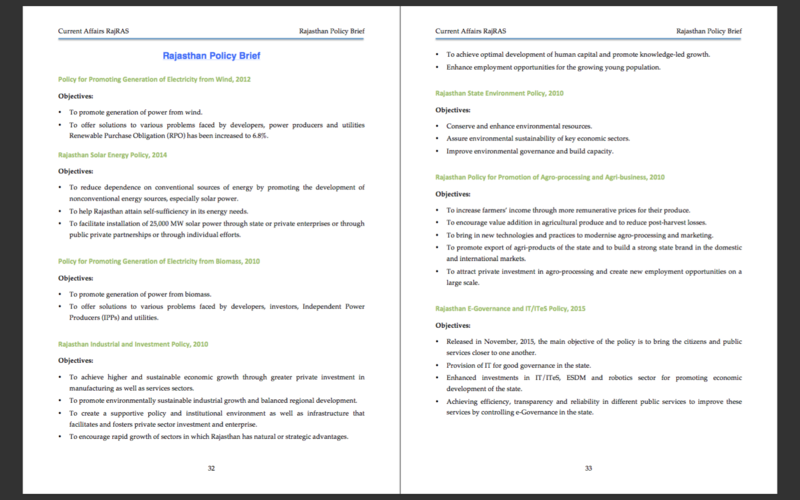 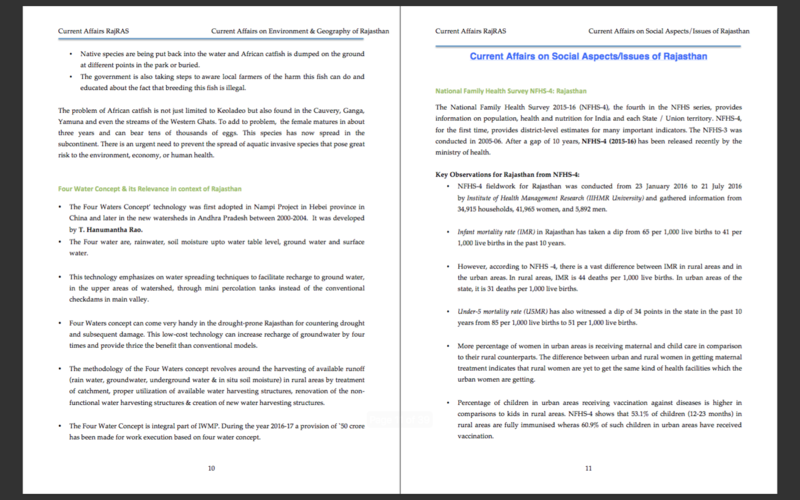 Instead, new information and updated facts from Economic Review, Budget have been included in the PDF. 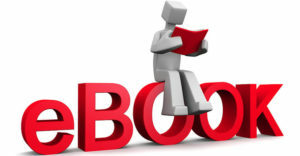 To avoid any confusion, any information mentioned in 1st PDF has not been repeated and only additional information has been mentioned.